The Shephard new residential development nearing completion in the West Village. 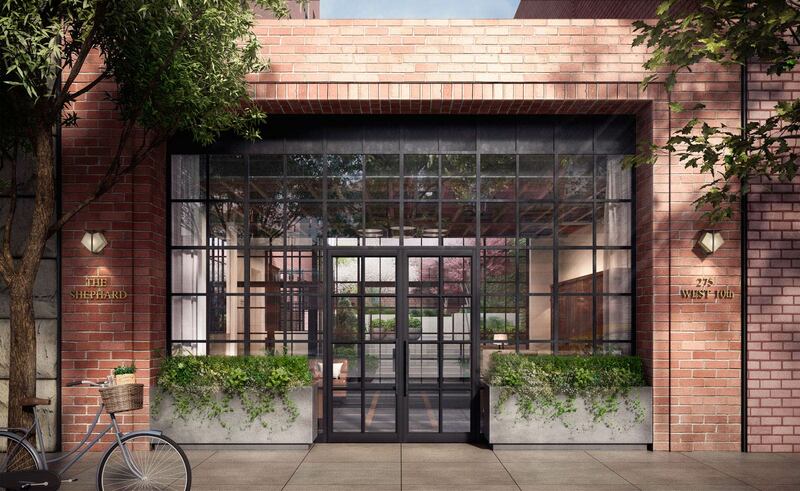 Two new residential developments are nearing completion in the heart of the West Village: Naftali Group’s condominium conversion project at 275 West 10th Street dubbed “The Shephard,” and Toll Brothers’ 100 Barrow Street. The Shephard recently unveiled its private outdoor garden, as well as a James Huniford-designed model residence. A few blocks away, 100 Barrow is in the midst of finishing up its mixture of co-op, townhouse, and affordable residences. Both buildings stand 12 stories tall and feature a quintessential West Village brick exterior with modern finishes inside. Originally built in 1896, the Shephard features conversion architecture by Beyer Blinder Belle and interior redesign by Gachot Studios. The charming building is distinguished by its red-brick exterior and arched windows, and is now host to 42 soon-to-be-complete condominium units. Current availabilities include 3-bedrooms starting from $6.65 million and 4-bedrooms starting from $6.95 million. The building’s duplex penthouses are available as well: the 3-bedroom Penthouse A for $18.85 million, the 4-bedroom Penthouse B for $24.5 million, and the 5-bedroom Penthouse C for $29.5 million. The Shephard recently unveiled its private outdoor garden, complete with seating areas, a step-up patio, and greenery. Inside, residences host spacious living rooms, unique vaulted ceilings, ¾-inch solid oak floors, and double-glazed windows. Kitchens host solid mahogany cabinetry by Smallbone of Devizes, white marble island counters, honed black granite work surfaces, and Miele appliances. Baths feature white marble mosaic fan floor tiling and radiant heated floors. 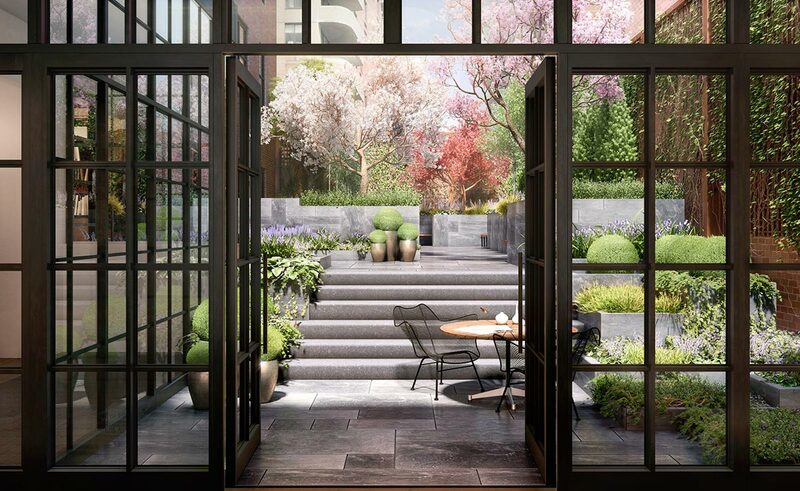 The newly revealed outdoor private garden features quaint seating areas and lush greenery, just steps outside the cozy, 24-hour attended lobby. 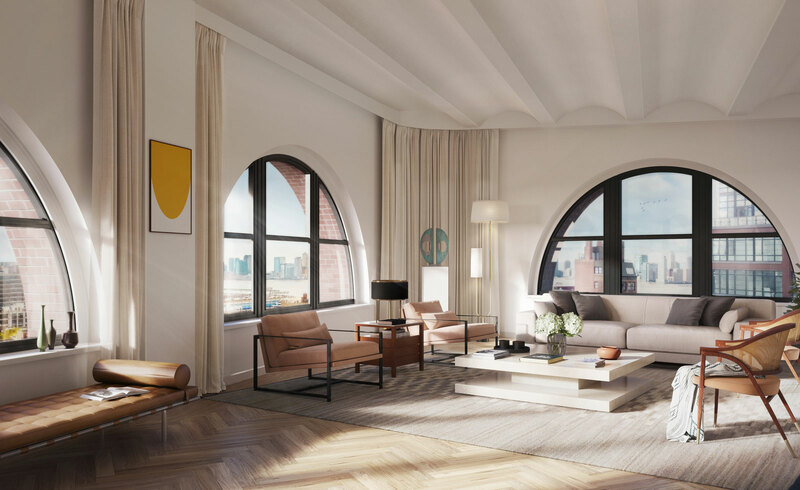 More recently unveiled amenities include an Assouline-curated library, a spa, a game room, a resident’s club, a fitness center, an indoor half basketball court, a golf simulator, a screening room, an art room, and a climbing wall. Residences at the Shephard host unique vaulted ceilings and solid oak flooring.